6 Responses to Viability matters, too. I have a question that is completely unrelated. I have heard that to get grey you have to have grey. The foundation quarter horse mare was brown. I have never seen a brown Quarter Horse since and the stallion was Palomino with lots of dark hair in the mane (sooty palomino) the foal was born sorrel and when the foal hair shed the colt was a gray roan like the Thoroughbred Grays. If these two individuals were bred what would be the color possibilities? Yes, greys have one grey parent. Non-greys can have white hairs, though, and chestnuts in particular tend to have them. What kind of markings did the parents have? Both the mare and stallion had minimal markings. 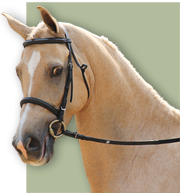 What colors would be possible if a brown is crossed on a sooty palomino. I’ve heard that you can’t test a horse for roan zygosity if it carries sabino, since the sabino mutation might “interfere” with the marker test. In this case it’s not a SB1 horse that was referred to, but one showing quite normal markings with some sabino characteristics. I’ve emailed UC Davis but haven’t got a reply, so that’s why I’m tryng to search for answers elsewhere from people that might know. It sounds a bit unlogical to me, since surely some of the horses that tested positive for roan must have had some phenotype sabino markings? Have you tried calling UC Davis? I have had good luck with asking questions directly by phone there. They should be able to tell you about any conflicts, and may even be able to see if they have had any horses test as having both genes. Ah, ok. Thank you so much for the information. I’m not that good at the details about the exact genetics behind the different colors and patterns, so I wasn’t sure about how they would possibly affect each other. The problem is that I live in Sweden, so it’s both cheaper and easier to email them since there’s some difference in the time of the day as well;) But I might end up doing that in the end anyway I beleve, since I really want to get an answer to that question.